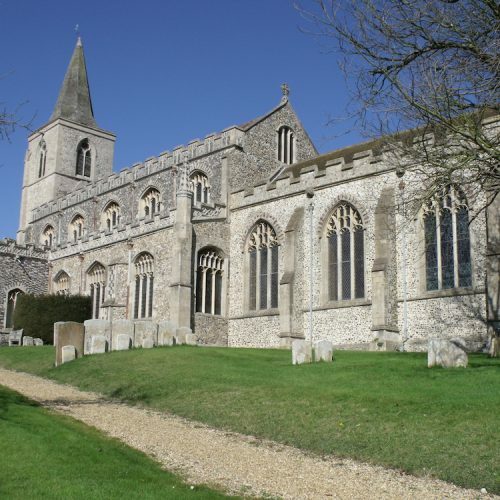 This handsome church rises up from a cluster of historic village houses in the valley of the delightfully named River Rat. 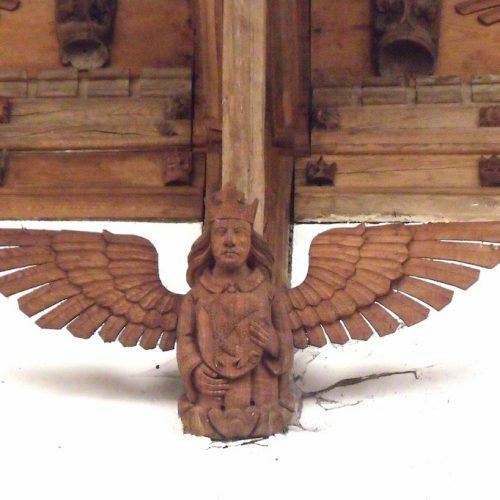 The spectacular roof with over 60 hovering angels exquisitely carved in the 1880s to replace those destroyed by the Puritans . 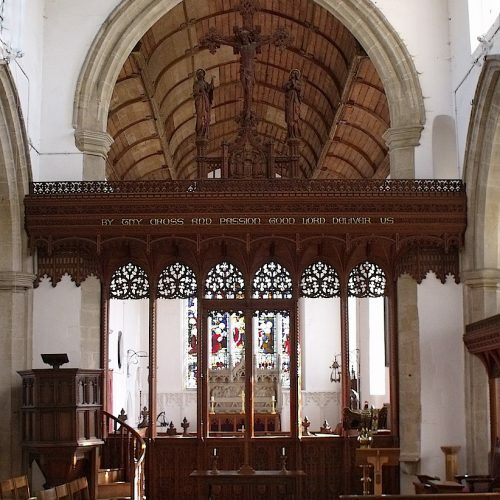 A magnificent rood screen and Lady Chapel screen were added in the early 20th century. 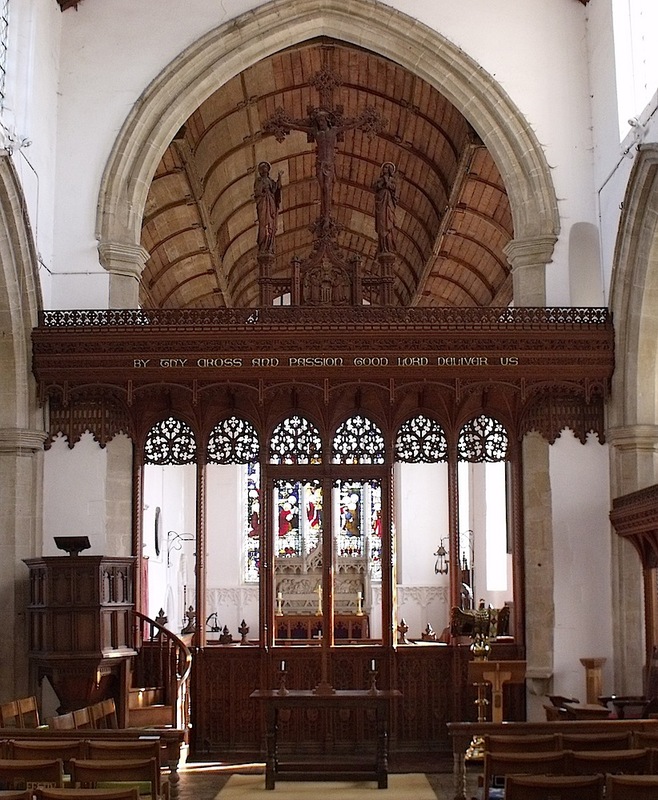 The church now has one of the most complete replicas of a medieval rood, loft and rood screen in England. 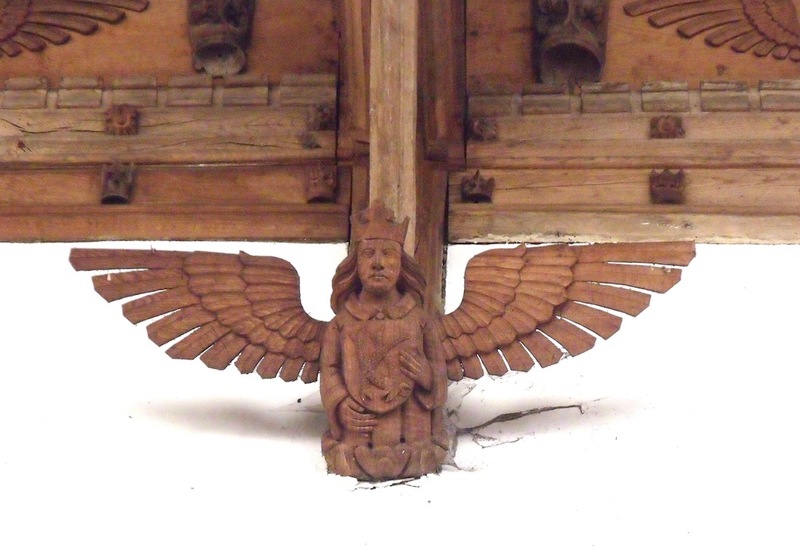 The 15th century benches have exquisitely carved poppyhead ends. Look for the six faces with their tongues out. 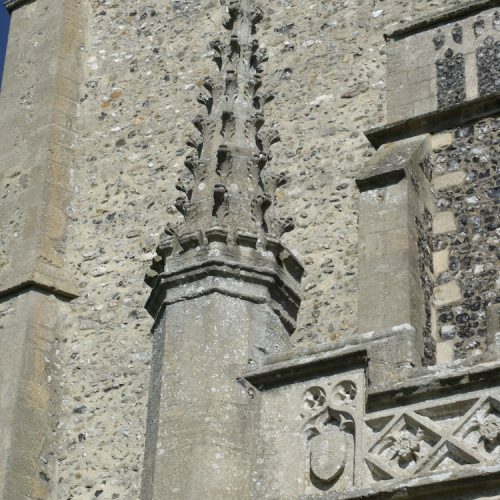 A church belonging to Ely Abbey was recorded in 1086 but the earliest work on today’s building includes the south doorway dating from the 13th century so the church may have been rebuilt then. The tower and aisles go back to the 14th century and a major rebuilding took place in the 15th century, notably the large perpendicular windows where the light pours in. 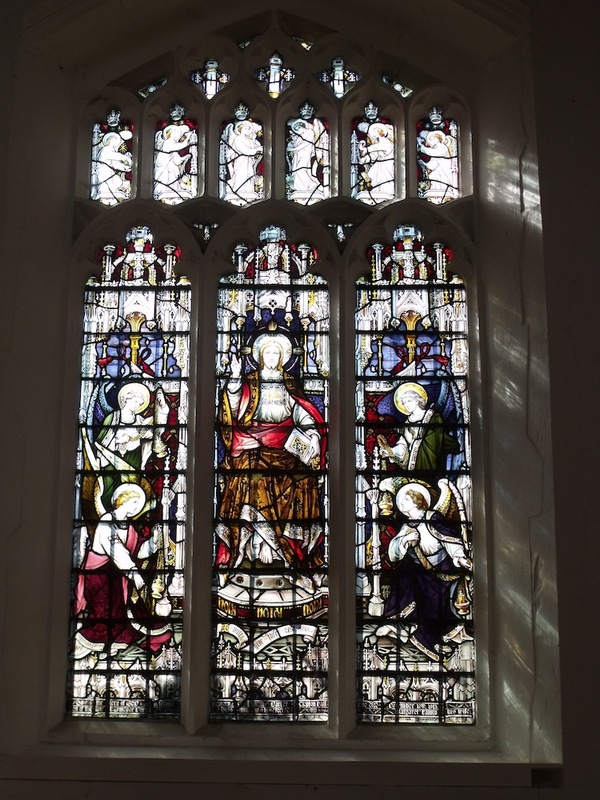 The church is much loved and cared for, is open every day, and welcomes visitors. 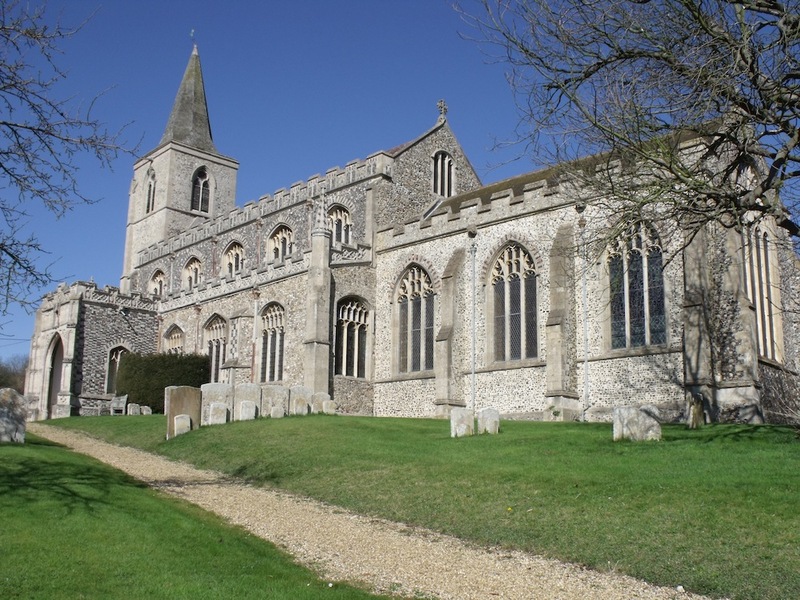 You can enjoy a circular walk to Woolpit church using the yellow Angels & Pinnacles Church Heritage Trails leaflet. St Nicholas is also a venue for dramatic and musical events. American servicemen were stationed at Rattlesden during WW2. 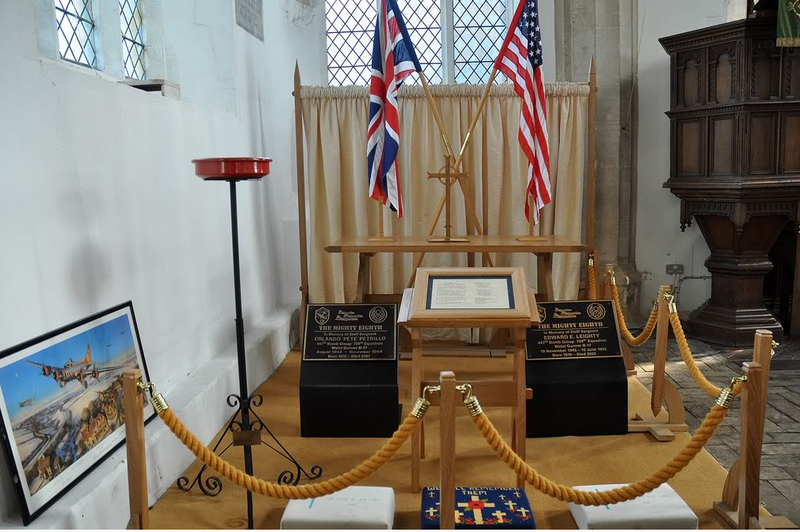 The American Chapel in the church remembers them and the Kimball family who sailed to New England in 1634. 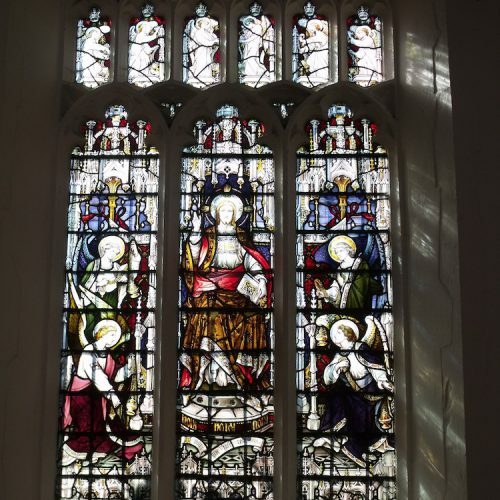 You are not far from Bury St Edmunds with its lofty cathedral and the magnificent St Mary’s Church where you’ll find the tomb of Mary Tudor, favourite sister of Henry VIII. 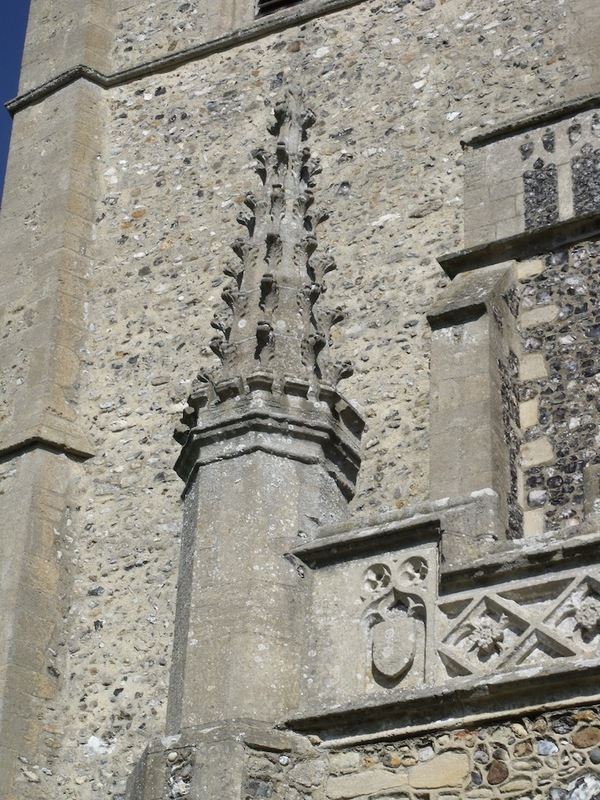 Close at hand are two other fine Angels & Pinnacles churches at Woolpit and Great Finborough.